Ajay Devgn's slams trolls 'fat-shaming' his daughter Nysa Devgn for her blue hoodie airport look. Social media is being uncontrollable these days with so much hatred being spread. Celebrities are often victims of cruel comments including ‘body-shaming.’ It comes as a surprise how celeb kids are also falling prey to such ‘hate comments.’ While earlier, Arpita Khan and Aayush Sharma’s son Ahil was trolled, now Ajay Devgn‘s daughter Nysa Devgn was ‘fat-shamed’ and trolled for her airport look. Ajay comes to her rescue and slammed trolls. 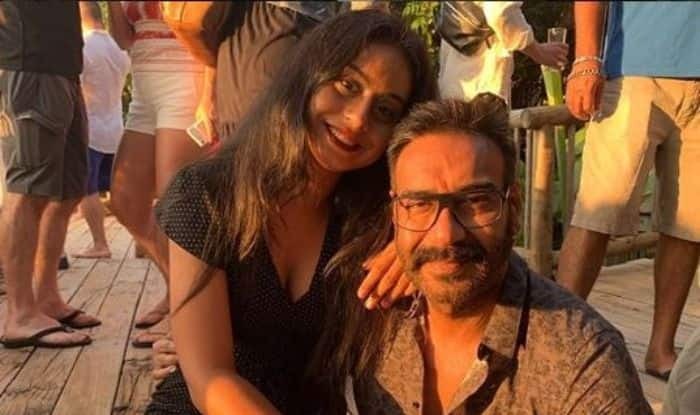 In a recent interview with Hindustan Times Ajay revealed how Nysa and the family were affected by the trolls and said, “She is a 14 year old and at times people seem to forget that at times and talk rubbish. At the airport, she was wearing a shirt as well as shorts, but since the shirt was so long the shorts were not visible. The kid got trolled for that”. “Because of people like these we are paying the price. I would request the paparazzi to leave the kids alone. Celebrity kids are trolled because of their famous parents. They may not want to dress up every time they go out, so it is sad that such things happen,” the Total Dhamaal actor added. Ajay further talked about how his children have kept him grounded and went on to say, “During the promotions of Total Dhamaal I was watching something on my iPad and my son Yug was watching TV. When I told him to go to sleep, he pointed at my iPad. I told him I only get one hour to unwind and then he goes ‘but you are only going for promotions”. Nysa was earlier trolled about her blue-hoodie airport look. She sported a long hoodie. Netizens trolled her for not wearing pants with the hoodie. Ajay had earlier told the media, ”Judge me, but don’t judge my kids. Kajol and I are the actors, judge us…it’s because of us that our children are under the spotlight every time.”.